The team at Sharkey have once again gone above and beyond for charity by participating in a series of adventurous events which has raised over £11,000 for good causes nationally. 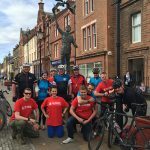 Having previously raised more than £30,000 over the last few years the team at Sharkey have once again shown their true team spirit and character by participating in a variety of events and challenges that has pushed them both physically and mentally. 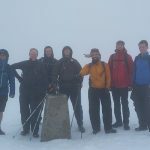 Billy Ratcliffe and Michael Burnett from our Edinburgh office alongside 10 of our colleagues from the Lloyds Banking Group framework successfully completed the arduous National Three Peaks Challenge in aid of Help for Heroes. 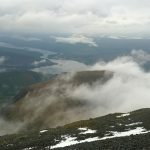 Set the daunting task of climbing the 3 highest mountains in Scotland, England and Wales in less than 24 hours, the team conquered Ben Nevis (Scotland), Scaffell Pike (England) and Snowdon (Wales) with a combined elevation of 11,178ft in 22 hours 55 minutes including travel time. Both the Sharkey men had their difficult moments, but with the help of some great team support plus a lot of sweat and perseverance, they pulled through with nothing more than a few aches and pains. They raised an amazing £6,815 for Help for Heroes. Well done to Billy, Michael and the other team members who completed the challenge. 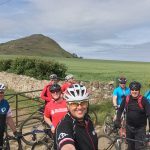 A team of Sharkey staff from Edinburgh undertook the adventurous challenge to cycle the newly opened John Muir Way, some 130 miles from Helensburgh to Dunbar over two days. The team comprising David Lindsay, Peter Watson, David Blair, Mark Halliday, Colin Buckley, Billy Ratcliffe, Scott Hagart, Murray Martin and Sammy Hyett with a support crew of Ross Sharkey, Sabrina McKelvey and Greg Halliday completed the challenge in the allotted time raising an impressive £4,300. This has been distributed to several local charities which include SIMBA (Simpson’s Memory Box Appeal), The Sick Kids and Age Scotland. With the exception of one trip to A&E following a disagreement with a dry-stone wall the challenge went well. We would like to thank all who donated and everybody involved and hope all aches and pains heal soon. 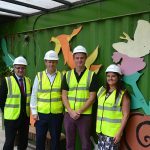 The Sharkey team in London have been working very closely with the London Wildlife Trust by donating recycled materials from The Grey Coat Hospital project we are currently working on. 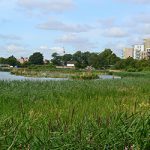 Our donation has helped to protect and enhance the habitat for unique wildlife at the Woodberry Wetlands Park in Stoke Newington. Donating re-usable materials from our construction sites engages the local community and encourages understanding of the important part recycling has to play in protecting the local environment. We at Sharkey would like to thank all who participated in the above challenges and also everyone who generously donated or helped out along the way.